WaterSound Beach is situated on 256 acres of natural sand dunes with over a mile of white sandy beach on the Gulf Coast. The property borders the protected Camp Creek Lake, one of the world’s rare natural coastal dune lakes. 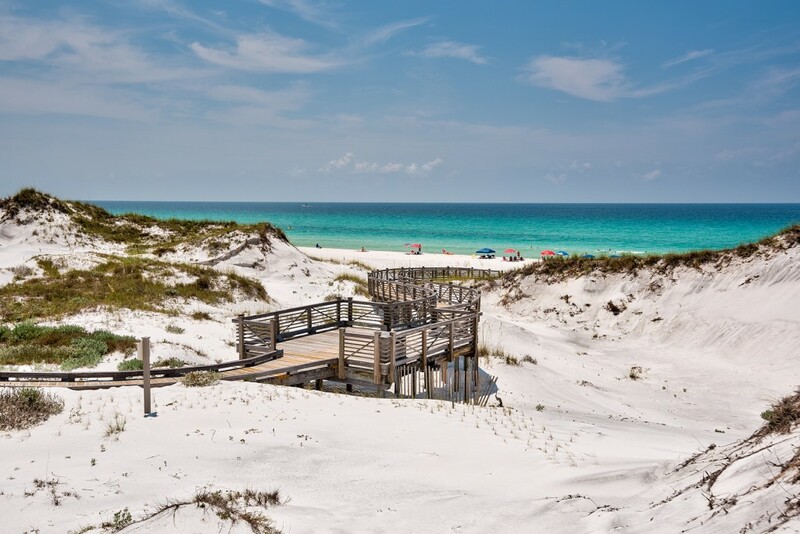 Like its neighbors, Seagrove Beach and Alys Beach, this peaceful seaside village emphasizes a community lifestyle with amenities that can easily be reached on foot or bicycle from your WaterSound home. Click here to read more about WaterSound Beach. It is no surprise that this amazing New Urbanist Community saw another terrific year in real estate in 2016. WaterSound Beach was thriving with more sales than the previous year, and available listings flew off the market almost twice as fast as they did in 2015. When comparing numbers from the 4th Quarter of 2015 to the 4th Quarter of 2016, the total number of sales increased a whopping 200%, and the total sold volume increased 94%! Real estate in WaterSound Beach is booming, and we don’t see that slowing down anytime soon. Are you considering selling in 2017? Find out what your home is worth by using our Home Valuation Tool below.